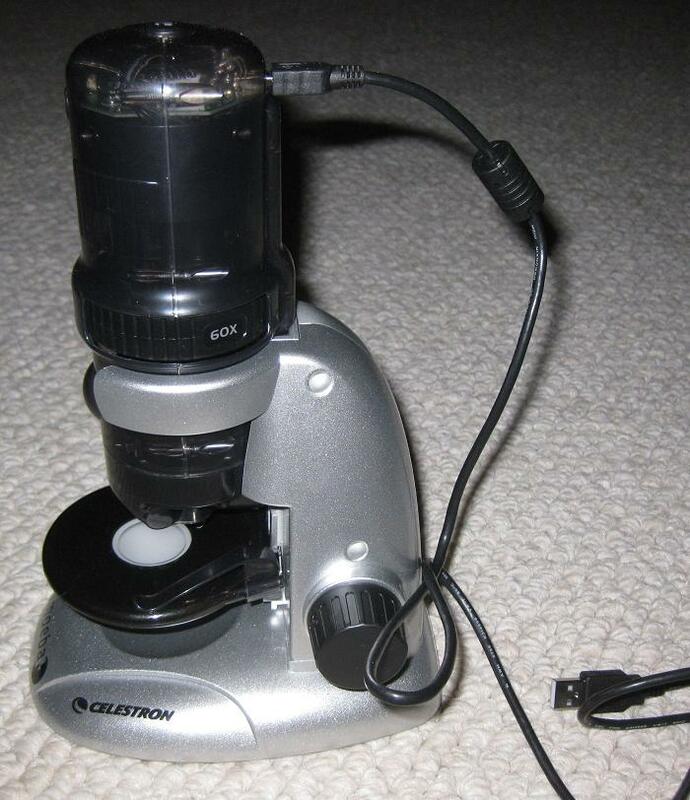 Behold: the Celestron Amoeba Dual Purpose Digital Microscope! Yes, that’s a USB cable sticking out the back, which means I can throw the images up on my computer. Actually, this guy goes a step further: there’s no eyepiece, no way I can physically look into the microscope. It’s digital only. Which is a little weird, but works pretty well as long as the thing’s hardware never keels over (fingers crossed). The software shows you a live feed of whatever’s under the lens, and you can take screenshots anytime. You can even take video, though I haven’t tried that yet. Let’s try this bad boy out! The specimen? 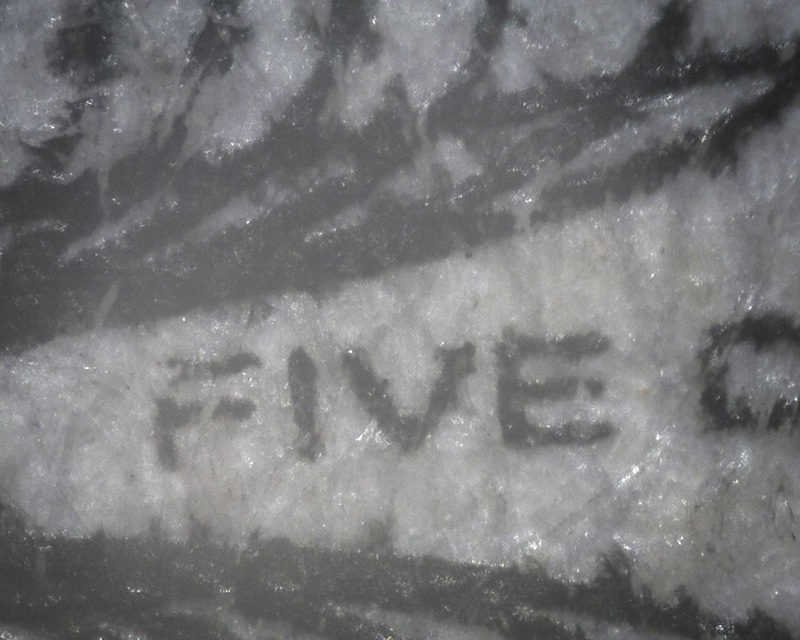 Good ol’ Number Five (“the Cinco”). Even at that zoom you can see some of the anti-counterfeiting features. 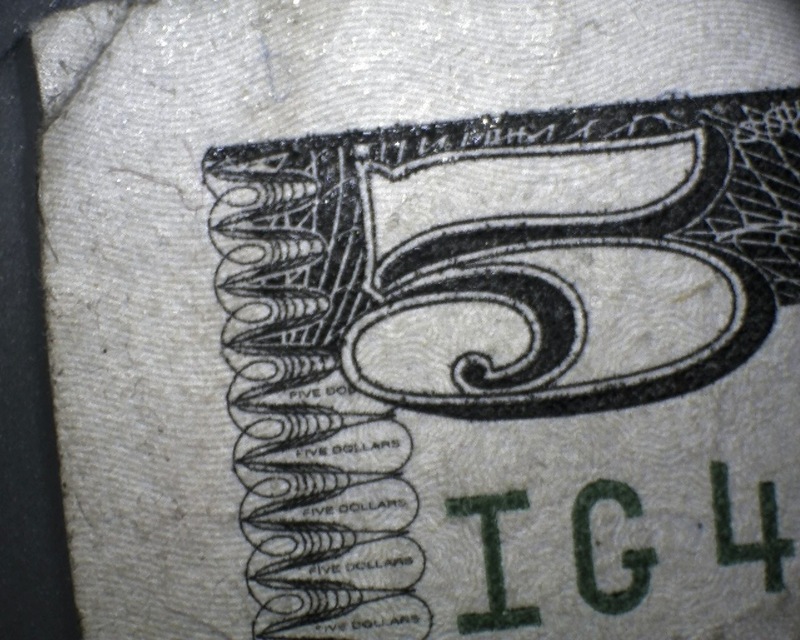 There’s the tiny “FIVE DOLLARS” text printed inside each of the loops, all but illegible to the naked eye. And you can see the fine-structured curves and swirls of the background. The miniature text in all its glory. 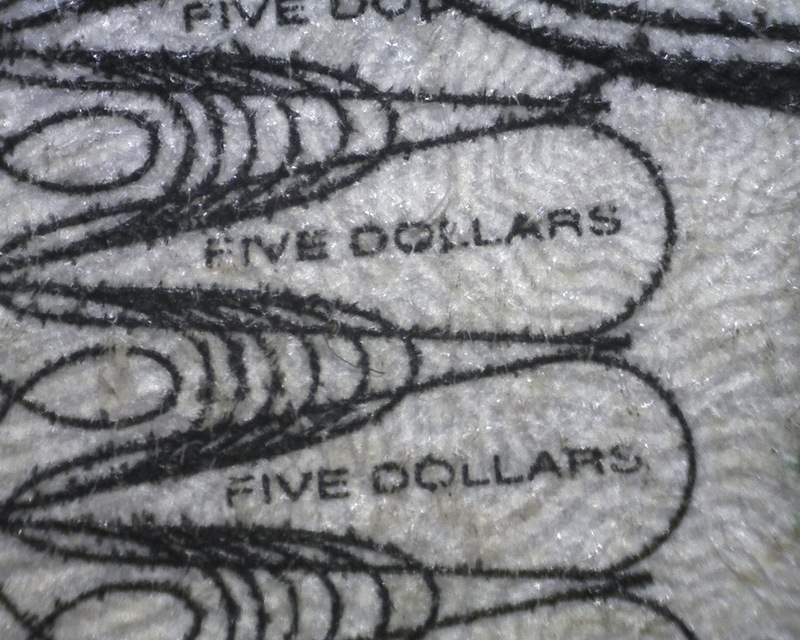 At this level, you can see the individual fibers of the bill’s fabric. Righteous! So far, my wife and I have looked at a circuit board, human hair, chicken meat, a dead spider, pepper grains, an olive, a slice of onion, her engagement ring, a penny, the screen of a Kindle, and a dozen other items. We could see the individual plant cell nuclei in a slice of strawberry, the structural differences from one grain of salt to the next. I’d be hard-pressed to call it science (unless we’re testing the hypothesis that “the microscopic world is hella sweet”) but it’s a pretty good time anyway. Any requests for things you’d like to see up close? I’d be curious to see a circuit board. Circuit boards are fascinating for me. Probably because they’re one of the things that are absolute mysteries to me. I have absolutely no idea how they work, and it’s a question that mildly irritates me to this day. circuit boards producing things like computers seems like utter nonesense to me- akin to magic in my understanding of its workings. Actually, since i’m a fantasy writer, I think that I probably understand the workings of magic better, so it’s more like photon interference patterns, leaving me scratching my head and trying to keep my head from exploding. Circuit boards are fascinating to me too. I know some of the basics, but I never did take any classes in college that would give me a deep appreciation of how they work – I was mostly focused on the software side of the computer world. Might be a personal research topic someday.